Yes, it’s time to play that nerdy game! 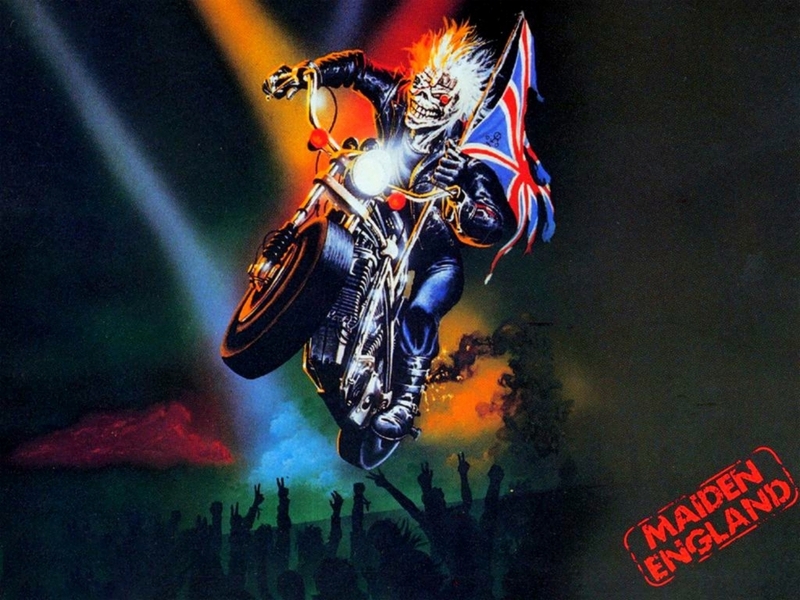 With the confirmation that 2014 will see a revised Maiden England show hitting the road in Europe, we speculate in-depth about what can be expected from Iron Maiden’s final revisit to the 1980s. 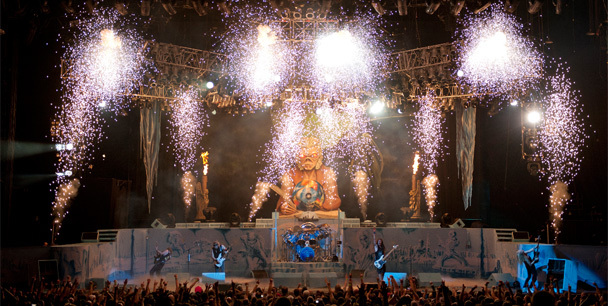 Iron Maiden’s 2014 touring concept is the third round of Maiden England. The band committed an historic first when they didn’t change a note in the set during a 9-month break from touring between 2012 and 2013, and now they’re doing another historic first by stretching one single touring concept over three calendar years. Maiden will hit the European festival circuit in the summer of 2014, along with select arena shows, to round off what has now become the 2012-14 Maiden England World Tour. 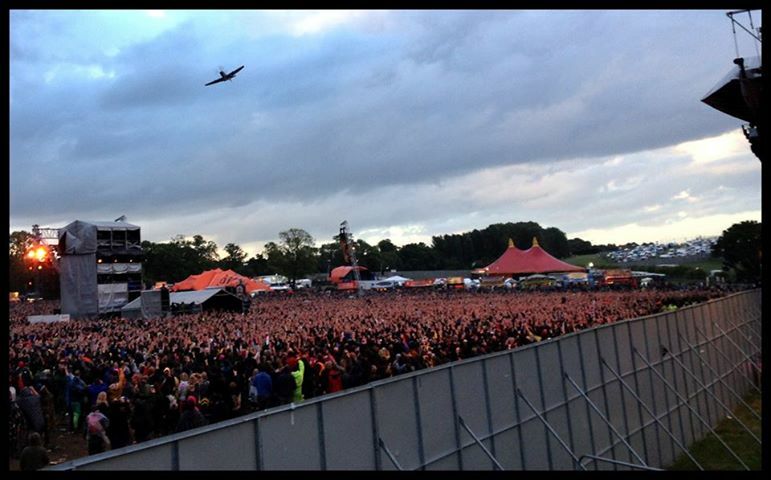 We thought Iron Maiden had ended their 1980s History run with the 2012-13 Maiden England tour. Not so. – As all our fans know, Maiden England is Part 3 in the History Trilogy of the 1980s video/DVD releases so this is likely to be the last time we will tour with a set list based on the ‘80s, and therefore the last time fans will EVER hear some of these songs played live. With this in mind, for the 2014 dates we plan to change the set list around a little, to make it more equally representative of the whole of the ‘80s period covered by those three DVDs – Early Days, Live After Death and of course Maiden England, along with one notable exception from the ‘90s, the fans will know which song I’m talking about! 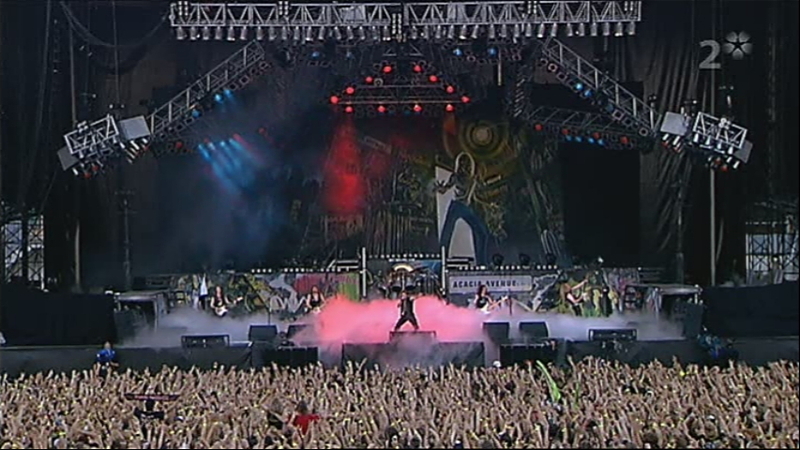 Iron Maiden started their History project with the 2005 Early Days tour, playing material only off their first 4 albums. Will bits of this concept reappear in 2014? 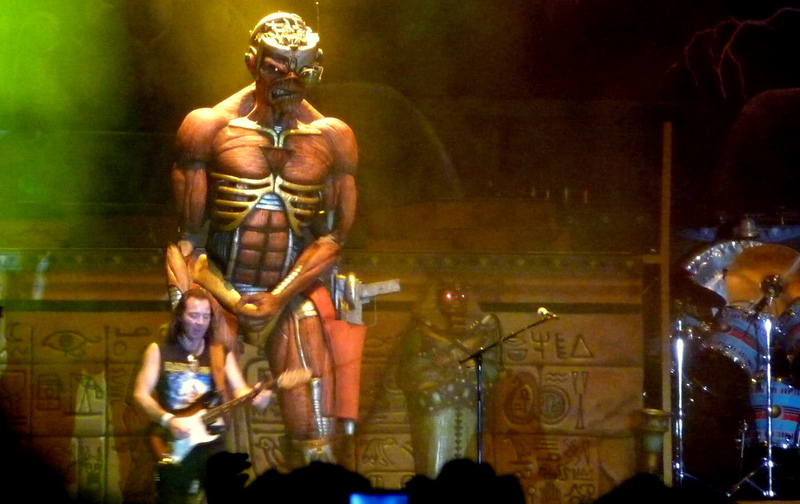 Singer Bruce Dickinson also claims that this is Maiden’s final History tour, meaning it will surely be the last chance to air some of the band’s most beloved and enduring material on the concert stage. So although our FEATURE FRIDAY series often looks into the past, now it’s time for another look into the future. With the new announcement in mind, what changes can we realistically expect? What follows here is our hunch in writing of which songs go and which songs return to the set in 2014, and why some are out and others in. Further down in this piece we’re gonna turn our attention to how good this final leg could be with just a few dream tweaks to the set, but first up – the reality check! 1. Moonchild: I think it’s safe to assume that the band finds Aces High a more powerful and classic opener. It has a stronger singalong chorus than Moonchlid, so out goes Aleister Crowley in favor of roaring Spitfires. It’s a more well-known number for the regular festival goer, which comes in handy when they’re doing a lot of mainstream festivals next year. A Spitfire cruises over Donington Park in 2013, prior to the show opening with Moonchild. Could Aces High reclaim that position in 2014? 2. The Prisoner: Boo! The rare gems has a tendency to get the blow when things are tightened up, so I’m afraid this 2012/13 highlight will be replaced by something in the vein of Wrathchild or Children of the Damned. 3. Afraid To Shoot Strangers: Sayonara. The song doesn’t belong in the first place and Rod has confirmed that there will be only one 90s tune in the 2014 set, and we all know what that is. In comes Revelations. Yay! 4. Seventh Son of a Seventh Son: It might stay if Moonchild goes, to keep some of the Seventh Son of a Seventh Son theme relevant. Due to the magnitude of the production that comes with this song, I think the band will take the easy way out. Enter the risen Osiris, here comes Powerslave. The current performance of Seventh Son Of A Seventh Son is heavy on production trappings. Will that be a reason to drop it for the relatively short 2014 summer tour? 5. Can I Play With Madness? or Wasted Years: The former because of it’s mediocre quality, the latter for being a regular in most of the 80s retro sets. If the latter goes we might get Heaven Can Wait in order to keep Somewhere in Time represented in the set. Sure hope not. 6. Running Free: Overplayed on the past tours, so why not replace it with the overplayed Sanctuary? The mighty Cyborg Eddie. Will he return? And might he be partially draped in bandages, like the new Herve Eddie in the 2014 tour poster? STAGE SHOW: In terms of production I think it will be pretty much the same as on the previous legs. White sheets with spray paint and the magnificent Seventh Son Eddie with his brain on fire. But I have a hunch that the silly General Custer has been defeated by the mighty Cyborg Eddie. And maybe Eddie will rip up the world on one of the backdrops too? Expect cosmetic changes. Out goes Afraid To Shoot Strangers (pretty much confirmed by Rod’s statement), Seventh Son Of A Seventh Son and The Clairvoyant. In comes Revelations and Powerslave to up the focus on the mid-80s, as well as the only Somewhere In Time track other than Wasted Years that ever gets a chance – Heaven Can Wait. All of these songs were performed during the 2008-09 Somewhere Back In Time tour, and all but four of them is on Flight 666. I don’t mean to sound too negative, ’cause I would have killed for this set back in 1998… But after the shortcomings of 2012 and 2013 – a period I will always remember as Maiden being great put stopping short of the excellence we know they had in them for this last HOORAH! to the 80s – I find it very hard to get my hopes up about underplayed rarities. The globetrotting Somewhere Back In Time tour in 2008-09 proved that revisiting the 1980s was the most commercially successful touring concept in the band’s history. Well, at least Maiden are not going to mimic their decline by revisiting the early 1990s, which I thought was looking more and more likely this fall. But if the actual set comes close to what I’m guessing at here, fans will have due cause to complain about laziness and living on past greatest hits glories. NOW, ON TO MORE EXCITING THOUGHTS! 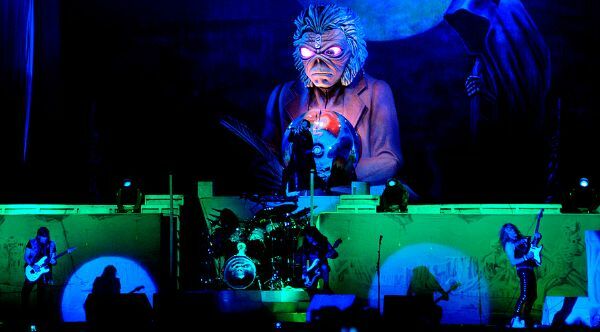 1) The songs that go have to be realistic choices based on what Iron Maiden are aiming for with the tour. 2) The set has to include the current staples, including Fear of the Dark. 3) The 1980s must be covered in their entirety in a relatively fair manner. We’d like to say all albums must be covered, but an album like Killers has a history of being left out. 4) There can’t be more than 5 changes from the current setlist of 17 songs. By doing this we want to show you how incredible the set might actually be with only a few more or less realistic tweaks. We’re not asking for the moon. Just “something a bit different”, to quote Dickinson’s own words about the 2014 tour. I’ve been mucking around with the order of the songs, with the way Maiden usually pace the set in mind, and then swapped five of the songs. These are tunes they have played live before (bar one, of course) – but I can’t resist putting it in there to show how radically different a tour might look with some relatively small changes. I think it would have put most of their tours to shame, to be honest. There’s been plenty of debate about the production and setlist of the Maiden England World Tour. For many of us there was profound pain in discovering that some of the all-time greats were still missing in action, for what would more than likely be their last shot. The set was a great best-of set in itself, but in light of the previous two History tours many felt the band should have been braver in their selection. 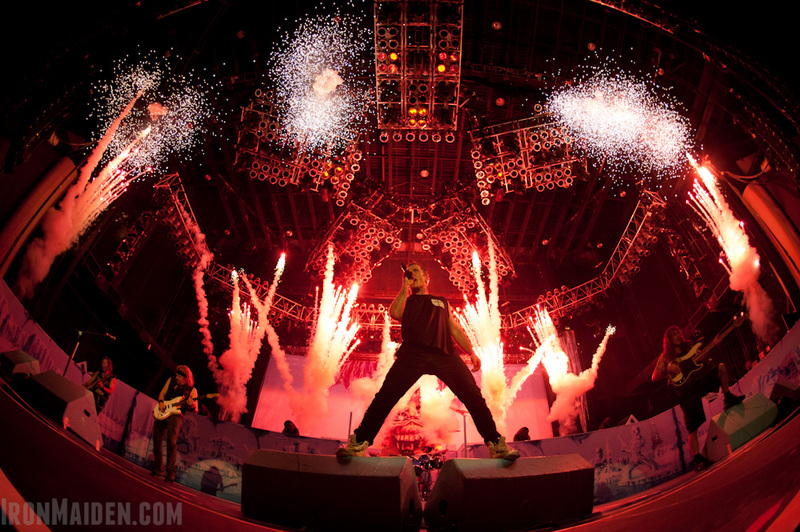 The 2012-13 Maiden England tour featured the biggest amount of pyro ever for a Maiden show. But the setlist was seen by many fans as playing it too safe, when so many relevant rarities were available to the band. There was no return for Flight Of Icarus or Stranger In A Strange Land or Still Life or 22 Acacia Avenue or Killers. Not even a highlight of the Maiden England video like Infinite Dreams was granted a spot in the setlist after being aborted in pre-production. The very fact that the tour was named Maiden England made this even harder to take than usual. In short, many felt that the 2012-13 tour steered much too close to the Somewhere Back In Time set of the previous History tour. Click here for our end-of-tour opinions and analyses, where we face the fact that the Maiden England tour had the lowest count of rare tracks of any of Maiden’s History shows, including the 1999 and 2003 non-album tours. For the Maiden England tour, only three tracks in the set had not been played on either of the previous two tours, and one of them (Afraid To Shoot Strangers) was out of period. Not having both The Prisoner and Seventh Son Of A Seventh Son in the set would have turned it into a farce, so the band just about saved face with those two present. I could have been more radical in my wish for a dream setlist, but I want to go with something that the band could reasonably be expected to manage. I move The Evil That Men Do back to its old spot following Moonchild, and I keep 2 Minutes To Midnight in order to have the Powerslave album represented in the show. Infinite Dreams, yes I can’t deny them. The omission of this song from a History tour titled Maiden England that focuses on the late 80s (or so they said it would) can not be excused. Not now. Not ever. It’s one of the most glaring omissions in the band’s history, which is a subject Maiden Revelations will return to once we know for sure what this final leg of the final History tour will bring. Stranger In A Strange Land would fit the period and production focus of the Maiden England tour hand-in-glove. There’s no question it should be there. And this is the final chance to bring back one of Maiden’s biggest hits and a 1980s regular: Flight Of Icarus. The somewhat rarely played Children Of The Damned and the recently missing Hallowed Be Thy Name represent the early days, rounding out my 5 songs coming in. Going out are Afraid To Shoot Strangers, the recently overplayed Running Free, the great but played-out Aces High, and two Seventh Son Of A Seventh Son tracks: Can I Play With Madness and The Clairvoyant, neither of which have sounded quite powerful enough for me on this tour. This set would plug some History holes while shining a light on the entirety of their 1980s period. One could also put Killers in the place of either Stranger In A Strange Land or Flight Of Icarus and have a great and different set. And I would hate to think that these tweaks are beyond the abilities or ambitions of my favorite band of all time in their last ever 1980s salvo. 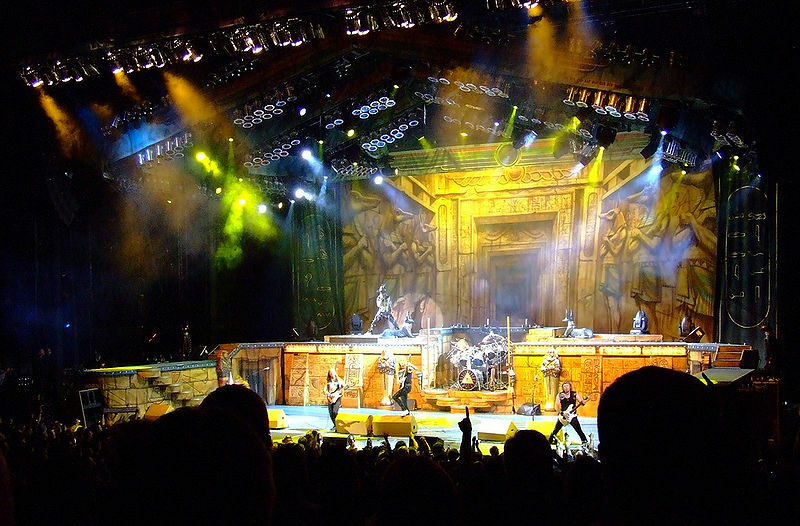 Click here to read about the history of Iron Maiden’s hugely successful History tours! For the five changes, I added Infinite Dreams (no explanation required), Powerslave (ditto), Children of the Damned (sounded incredible with the 6 piece in ’09), Caught Somewhere In Time (just imagine!) and re-instated Hallowed. I dropped Afraid (obviously), Running Free (yawn), The Clairvoyant (never one of my favourite 7th Son tracks), Madness (one singalong single had to go) and The Trooper (great song but overplayed). Norwayman, in order to stay true to the theme of the tours, for SBIT they should have recreated completely the LAD set list (although I quite clearly prefer the Hammersmith 84′ version of it), whilst for ME the ovbious choice would have been to play the exact set as back in 88′. The Maiden England tour was meant to focus on the late 80s, so I would say Stranger In A Strange Land belongs much more than Afraid To Shoot Strangers, Aces High, 2 Minutes To Midnight, Phantom Of The Opera or Fear Of The Dark. I had fun seeing it the first time in 2010, but it’s such a throwaway song! Run To The Hills or Hallowed makes a MUCH better set closer, IMO. I don’t think they’ll drop the Seventh Son Eddies (or the song) simply because it’s so integral to the production! Unless they decide to do something crazy like play Rime of the Ancient Mariner (woah!) then SSOASS will stay. That would have been one killer show, that’s fore sure. I’m hopeful that Maiden will pull off some grand surprises this time, as it is their last 80’s-based tour. We all know Bruce is quite fond of Revelations, Children of the Damned and Remember Tomorrow. I’ll eat my hat if at least one of those tunes doesn’t make it in. In addition, perhaps because they always seem to save room for plenty of played-out (2 mins, trooper, rtth, etc.) tunes on new album tours, maybe they will finally air some long-forgotten 80’s gems (Icarus, SIASL, Still Life, etc.) in place of some of the tired classics. I’m sure Adrian would be over the moon if they played some more of his SIT material. I guess they’ve got one last chance to surprise us all, they’ve got to know that a lot of us will be looking very critically at what they decide to do next summer. @Adam: Of the songs you mention I hope they don’t decide that the big “surprise” will be Revelations, a song that was featured on both of the previous two History tours. Icarus, Stranger In A Strange Land or Still Life would blow my mind. And of course, Infinite Dreams. Here’s my theory. Still Like, Killers, Infinite Dreams were all in the 88 set list. I have a feeling 1 or all of these will make it to the updated set list. @JR: I’d be thrilled. But why were they not included already? The only absent songs that we know were meant to be in the 2012-13 set are Hallowed Be Thy Name and Infinite Dreams. CHRISTER , you said it all !!!! for me the Maiden England tour was sort of a disappointment in terms of the setlist chosen by the band and your Final setlist is just awesome !!!! But i honestly don t think this is the last chance of the 80s songs . Rod and Bruce always say these kind of things in press releases . They need to sell out this concerts in order to keep Maiden on top . @Adam: Did he really say that about Phantom, specifically? Pretty sure I’ve heard it on various Youtube bootlegs from the ’05 tour. I’ll retrace my steps and see if I can find it. @Gabriel: Well, it’s a simple fact that they are nearing the end of their career, so every tour that passes is one chance less for raritites to ever show up. Next summer will obviously be the last airing of some of the 80s songs, just like 2005 was the last time for many of them. I think the chances for hearing any of those songs again are very slim. Oh, I wouldn’t mind switching out Wasted Years with Heaven Can Wait or Stranger in a Strange Land, and Wrathchild with Murders in the Rue Morgue or Prowler, and ugh just too many possibilities! Your set is great , caught somewhere in time is also my favorite song !!! This would still be a 7th son themed tour in that you’d still have 5 of 6 songs played on the original 7th tour (only replace Clairvoyant with Infinite Dreams) and you’d bring back Killers and Still Life that were both on the original 7th tour. Killers would also be good in that was left out of the Early Days tour and 2 Minutes 2 Midnight, Powerslave and Revelations would bring back elements of Somewhere Back In Time, so dribs and drabs of all three Nostalgia tours! By the by, along with Infinite Dreams, I don’t think Still Life has been played since 88 either! Songs not included in 2012/13: Infinite Dreams, Revelations, Still Life, Powerslave and Hallowed. That awkward moment when you don’t read the rules until after you’ve made your suggested set list. I got Infinite Dreams, Still Life, Revelations, Killers, Powerslave and Hallowed as songs that weren’t in the 2012/13 set list. So I’ve exceeded the limit of 5. As they say in the Bugs Bunny cartoons “Back to the drawing board”, hence I made the above correction and put The Prisoner back in. @Adam: I only really know the 2005 Gothenburg show well enough, and he certainly didn’t mention any particular song that would not get played again, just that “some” of those songs would never be played again. I’d be really surprised if he introduced Phantom as a particular song that would never appear again. Yeah, you’re probably right… ’cause I can’t find what I was talking about anywhere 😛 I was probably thinking of that statement. That’s a great set! But to be realistic, 3 monumental epics in the set makes it too long, so you’ll probably have to cut one or two songs from this. Hey, that’s a great idea! And since it’s such a great idea, I don’t know if Maiden will think of it… As Torgrim speculated above, it’s probably a safe bet that SIT cyborg Eddie will be back, but a kind of frozen Powerslave set is probably the coolest (oh, I had to) and most relevant idea for a Maiden production that I’ve heard for a long time. We definitely need Ifinite Dreams here!!! I think they should do the ACTUAL SET LIST of the video top to bottom, song for song exactly has Maiden England was released!!! I would personally love that, but Rod says they are combining Early Days, Live After Death and Maiden England. Which, to be honest, is what they did in 2012-13 anyway. Also think they WILL BRING BACK Hallowed Be Thy Name!!! I’d pay A LOT of money to see that. Just a pity I won’t get the opportunity to do so. Well, we were certainly close. Just 2-3 songs off what the actual set ended up being on opening night. They actually kept both The Prisoner and Seventh Son, which we didn’t think would happen. Good to be wrong!